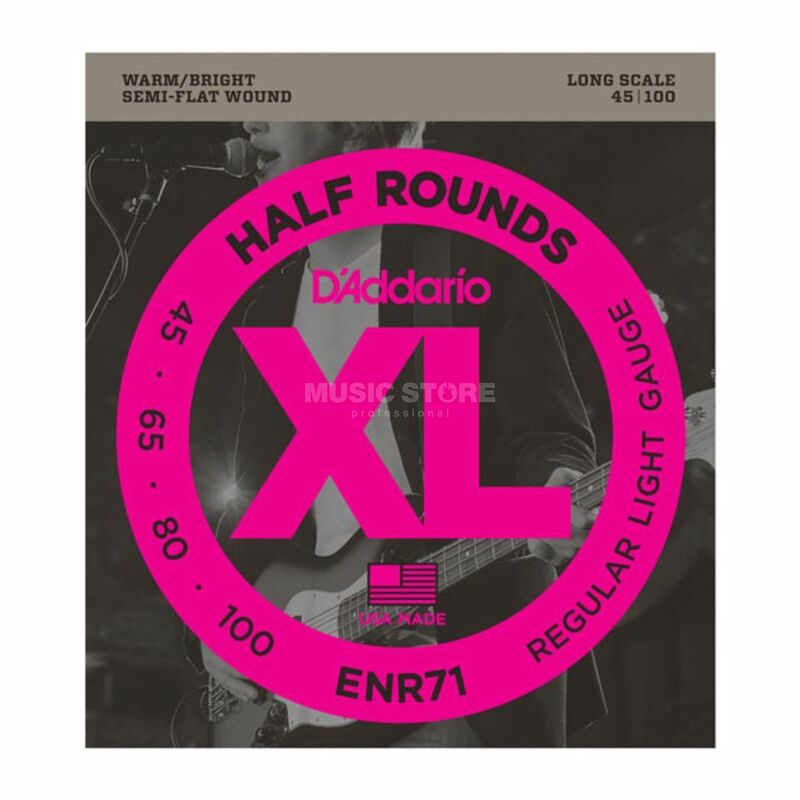 The D'Addario ENR71 Regular Light Bass Strings 45-100 is a set of four strings for a bass guitar. The ENR71 set features an exclusive "Half Round" manufacturing process. These strings are round wound with pure nickel and then precision ground leaving the outer surface smooth and "semi-flat". This produce a string with the tone and tension characteristics of round wound strings, yet a smoother feel, similar to flat wounds. These strings are designed to fit long scale basses with a scale length of up to 36.25". An exclusive heat treating process ensures that these Half Round strings retain round wound brightness and sustain. Put these half rounds on my JB MIM and had a hreat tone of true rounds with warm low of flats. It also worth having them on P-bass with tone off for old school Jamerson sound. Cons: the strings are a bit more scratchy than full flats, so need some time to play to get rid of clatches.